TOP COPY, barcoded ,NO INSERT AND PLAIN WHITE INNER SLEEVE. 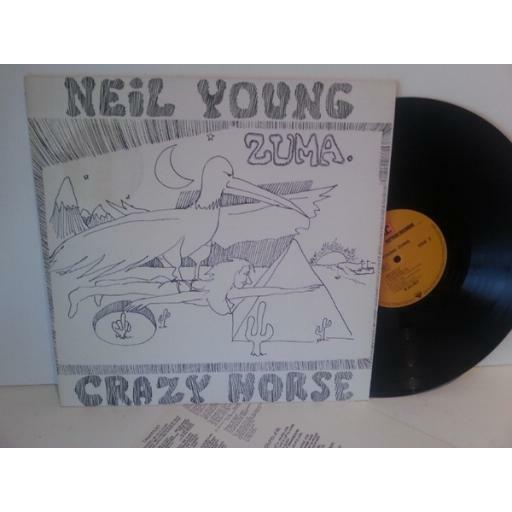 Neil Young with Crazy Horse ZUMA, 54 057. 1975 German Press on reprise records, stereo. Matt white sleeve is in excellent condition with a strong uncrushed spine and minimal wear, all very clean and straight, slight faint discolouration from sticker removal top left. 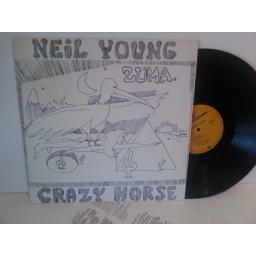 Vinyl is in excellent condition with minimal spindle marks and superficial marks on vinyl. Minor background noise in places. No skips or jumps. I do not sell records that are warped or jump. All records will be posted with extra card stiffeners. If you feel the record is not as described I will give a full refund.